A recent study found that more than a third of Brits fear the dentist, with common reasons being worry about medical equipment, discovering an unknown medical condition, and painful procedures. We have treated many nervous patients, helped them to overcome their fears, and actually enjoy their experience with us. 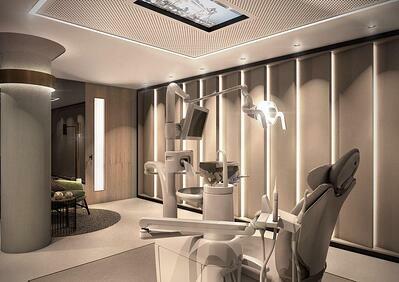 We designed our Smile Makeover Centre with the patient journey as our primary focus. 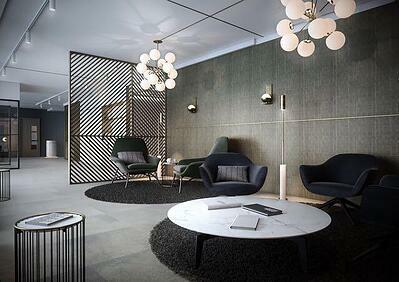 We have created an environment that puts you at ease the moment you set foot in the building. From the décor, the ambience, the technology we use, and the welcoming team, we have designed everything to make you feel relaxed and happy. Once you’re in the actual chair itself we use a wand to numb your mouth so you barely feel any pain. We also want our patients to focus on something else so we distract you with your own personal TV’s in the ceiling! You are given earphones so you can lose yourself in a film or listen to music of your choice. For the majority of patients who have major anxiety prior to their visit, when they get to us and experience our unique environment and nurturing team they feel much more at ease. However for some patients who are incredibly phobic of the dentist, then we do have the ability to provide IV sedation. Sedation is just like a relaxation method. It's an injection in your hand that will consciously sedate you so that you're aware of what's happening during your procedure and you can respond to the clinician. It makes your experience a totally pain free, relaxing procedure, rather than an anxious one. The majority of patients don’t even remember their treatment. We have had many patients come to us convinced that sedation is the only answer, and they might have sedation once or twice with us but we build such a good relationship with our patients that we always manage to overcome the majority of their fears, and they are happy to come back regularly without any need for sedation. To make choosing your dental treatment easy we have a number of Smile Makeover Packages for our most popular treatments. You can find out what treatment we would recommend for you by completing our free online consultation.